Greed, violence, and the hope of redemption are the defining themes of Avenue of Regrets, a nonstop action thriller. The book introduces David Wallace, a man haunted by the deaths of his wife and young son seven years ago. Accused of killing the woman he was having an affair with at the time, David was acquitted under sketchy circumstances and began trying to rebuild his life. Now the owner and director of a battered women’s shelter, David thinks his dark days are behind him. Then he meets a strangely familiar woman at a bar, witnesses a murder, and is told that everything he thought had happened seven years ago was not what it had seemed. This incident throws David into a world of corruption, violence, and human trafficking that he never knew existed. Targeted by the detective who tried to put him away seven years ago and relying on his rock solid relationships with his attorney and staff, David vows to find out what truly happened. Avenue of Regrets is perfectly paced, with clues revealed in small doses throughout to paint the broader picture of David’s nightmare. The action is continual. New villains are introduced, hidden allies offer protection, and new information comes to light, leaving David reeling from shocking revelations. The writing is tight and smooth and keeps to the nail-biting pace. David Wallace is an excellent hero—a man who made mistakes in the past but who is willing to do anything to take care of those he loves. He’s tough, complex, and flawed, and interest in his story is complemented by the story’s hairpin plot twists. 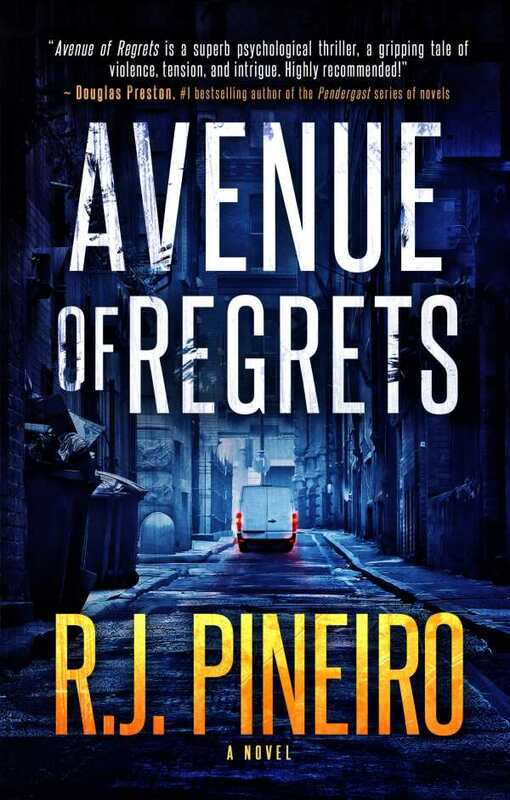 Avenue of Regrets is a thriller with heart.